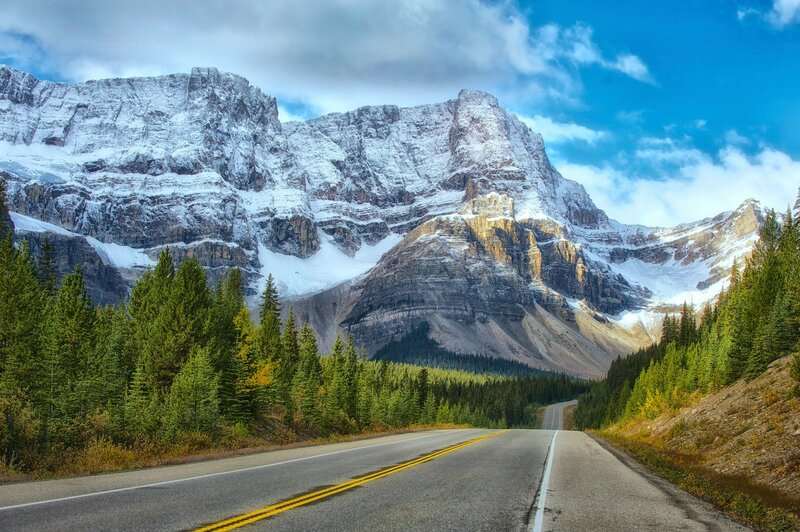 If you've never been to Banff, you don't know what you're missing. It's been years since I've been there, but what has never left me was the awe-inspiring beauty of that place. I'm from California, so it's not like I don't have plenty of epic landscapes to explore. But there was just something about Banff that seemed to make it a notch above anything else I've ever seen. I'm not the only one that feels that way, either. 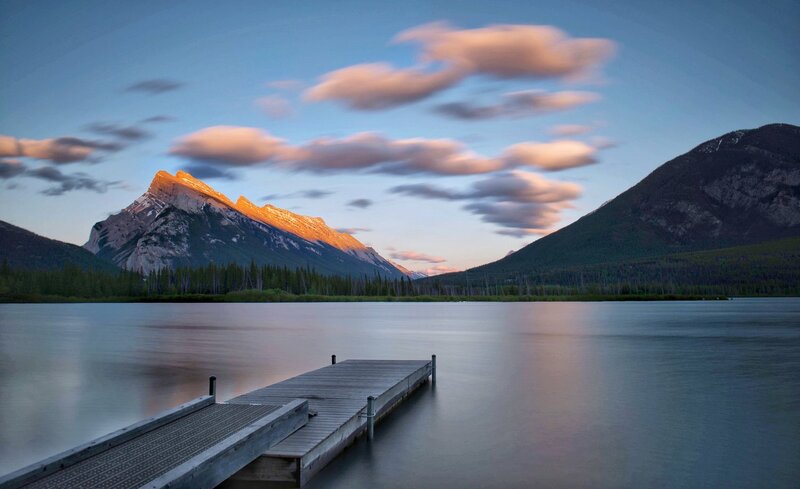 Photographers flock to Banff year-round to document its beauty. In this photographer's guide to Banff National Park, I outline a few of my favorite spots for photography. 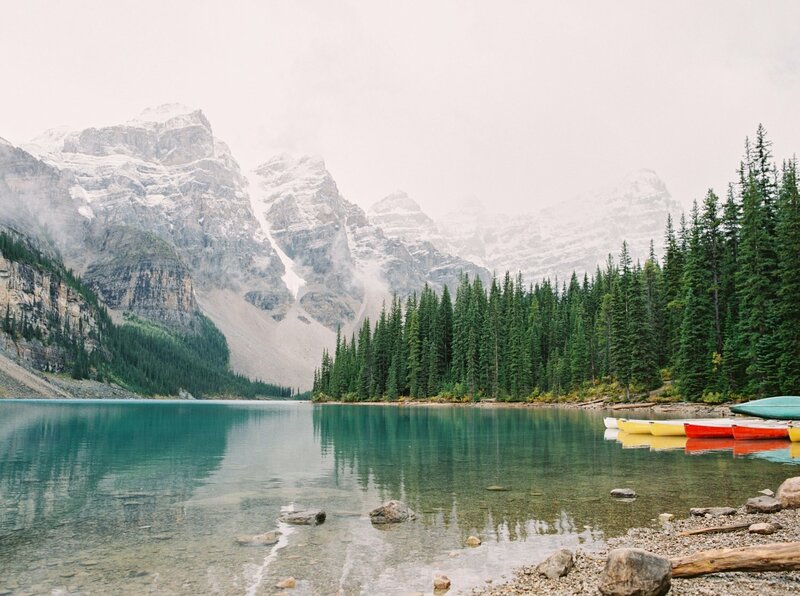 Aside from being an incredibly beautiful place, Moraine Lake is also just a few miles from the town of Banff and Lake Louise (another must-see place), so it's easy to access as well. 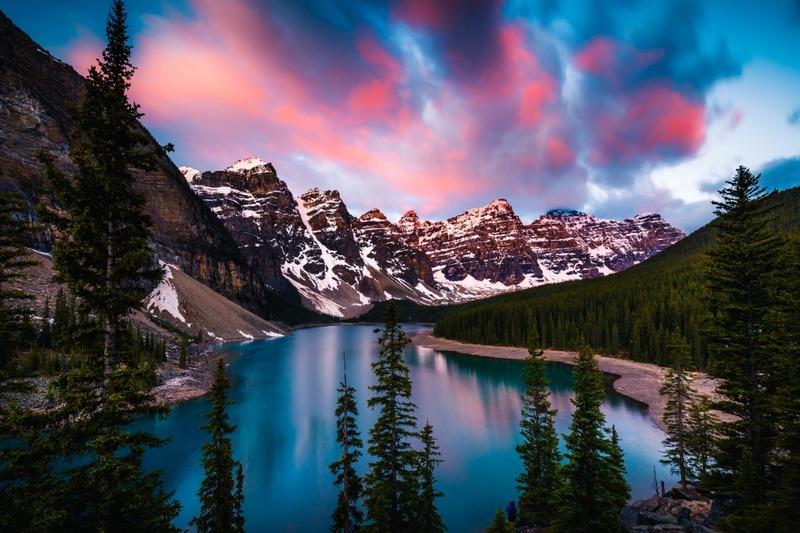 The best time to be at Moraine Lake is before sunrise, that way you can capture the morning's first light illuminating the mountains that surround the lake. Rather than simply standing on the shore of the lake, try hiking the Rock Pile Trail to get a higher perspective on the lake and the mountains beyond. Likewise, renting a canoe and taking your camera out on the water gives you an opportunity to compose shots that offer a much more unique point of view than the typical tourist photos from the shore. 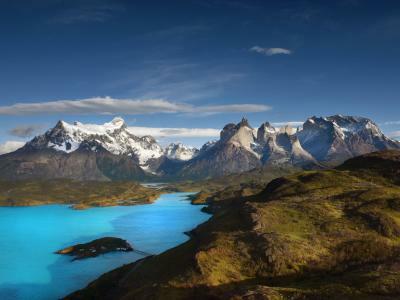 Must-See: The brilliant blue waters of the lake are a jaw-dropping sight, particularly if you capture shots at sunrise. 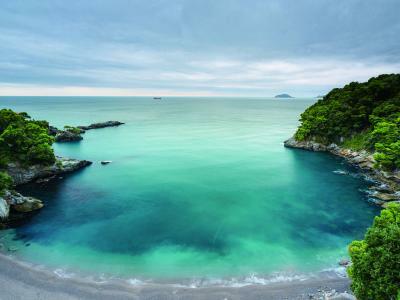 The combination of the cool blue waters and the intense, warm colors of the sky is tough to beat! What I loved about Johnston Canyon (aside from the fact that it's an incredibly easy hike) is that it was the most surprising of the places I visited in Banff. By that, I mean that while Moraine Lake and Lake Louise and other iconic areas get all the attention, Johnston Canyon is equally as beautiful. The trail leads you to two gorgeous waterfalls, which are worthy of the hike on their own. 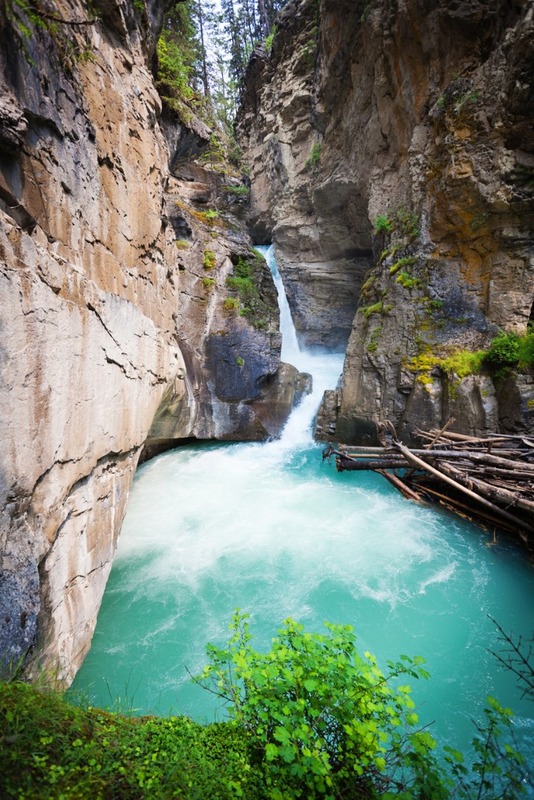 But the hike itself is quite the experience - you walk along a number of catwalks that are attached to the canyon wall with the river raging below your feet. Plus, this little Gem is just half an hour from Banff, so you can easily make a trip out to the Canyon and still have plenty of time to explore other areas the same day. Another unexpectedly beautiful area in Banff is the aptly titled Surprise Corner. 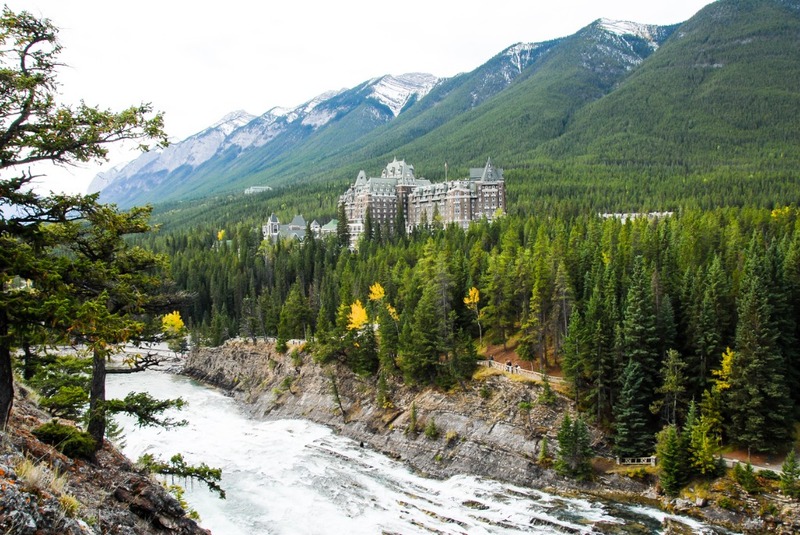 Here, with a view across the Bow River, the spectacular sight of the Banff Springs Hotel greets your camera lens. The hotel, which looks like a castle emerging from the forest in Bavaria, sits at the base of Sulfur Mountain, giving you the opportunity to create a postcard-like shot that includes a breathtaking landscape and one of the most beautiful structures in the world, all in the same shot. Better still, Surprise Corner is the trailhead for two epic trails - the Hoodoos Trail and the Bow River Trail, each of which offers you stunning landscapes on which to train your camera. 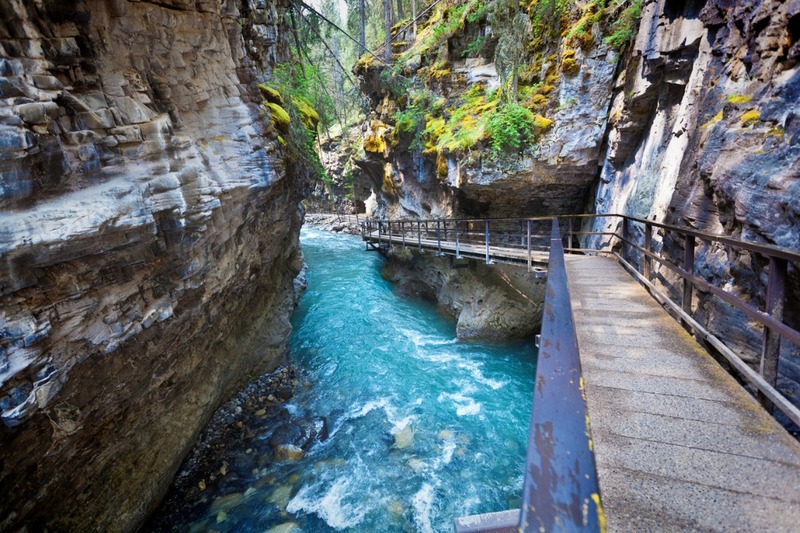 This iconic spot is just a mile from downtown Banff, so it's easy to access as well. When I visited Banff many years ago, I just winged it and asked locals where I should head next. And while that ended up being an okay way to go about it, if I were to do it all over again, I'd do things much differently. Rather than just going it on my own, I think the best way to see Banff would be as part of a photography workshop. 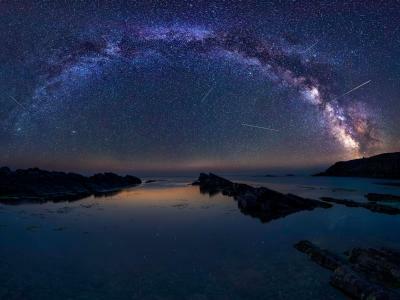 Think about it - what better way to see the sights than with expert photographers that have intimate familiarity with the area, and who can help you take better photos at the same time? 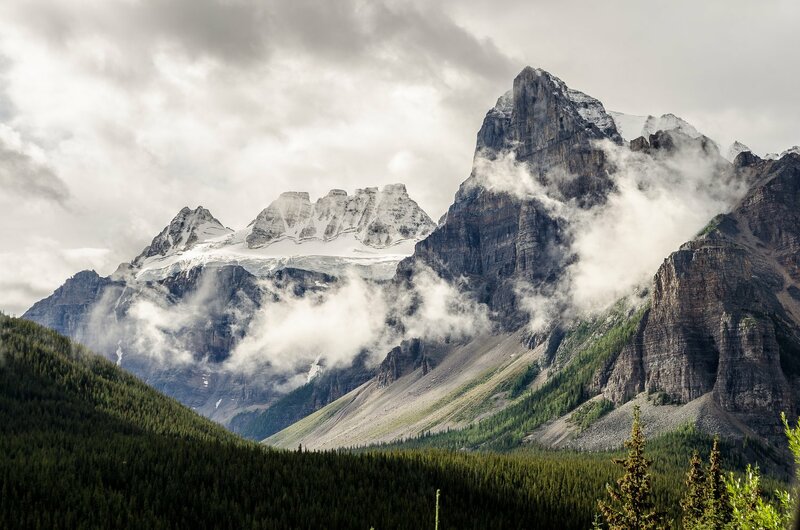 Additionally, by visiting Banff as a member of a photography workshop, you don't have to worry about things like lodging and local transportation because those things are included. I like the idea of traveling to a beautiful place with like-minded photographers as well. Not all workshops are made alike, though. Some cram uncomfortable vans full of as many people as possible to increase profits. Others only take you to the most touristy of locations, where you have to fight with hundreds of other camera-toting people to get the shots you want. ApertureXplorer, on the other hand, offers small group tours that take you to both well-known and off-the-beaten path locations. Now that's the way to do it! 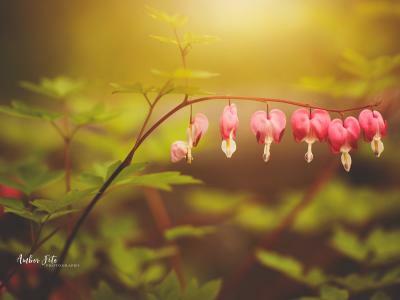 If you're ready to explore Banff and do it in a way that maximizes your time and offers many opportunities to learn from other photographers, check out ApertureXplorer's Mystical World of Banff workshop coming up in July 2019.